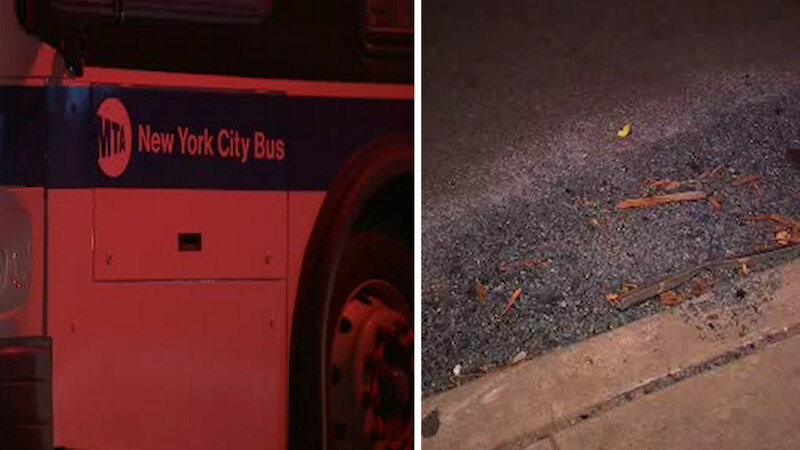 WEST BRIGHTON, Staten Island (WABC) -- An MTA bus crashed after it was stolen by an armed man in Staten Island. It happened around 6:20 p.m. in the West Brighton section on Friday. The bus operator on an X10 was conducting an inspection of his bus at Castleton and Jewett Avenue. An armed man, police say 33-year-old Mario Cassanova, boarded the bus and apparently threatened the driver. The suspect drove the bus a few blocks, with the bus driver and then ordered him to get off. The bus eventually crashed at Castleton Avenue and Broadway when it hit several vehicles and a light post. The bus was not in service at the time and the bus operator was not injured. Cassanova of Bay Ridge, Brooklyn, is charged with robbery, criminal possession of a weapon and reckless endangerment.